If you like the sea and you want govern a boat, you must know that you will have to train a lot and obtain a nautical qualification to practice nautical recreation. So, what are the nautical titles for recreational boating? Today we talk about the types of maritime formation that exist. Navigation licence, what was formally called titulin. This title is authorized through federations and schools and allows to govern boats of 6 meters length and to a distance of 2 miles of coast exclusively in day navigation. Basic navigation skipper increases the length of a boat to 8 meters and a distance of 5 miles of coast for both sailing and power. Recreational boat skipper is the most famous title. It allows to govern boats of up to 15 meters of length and a distance of 12 miles of coast. In addition to that, it is combined with regulatory practices.It can increase the size of the length to 24 meters and you can navigate between the Peninsula and the Balearic Islands. 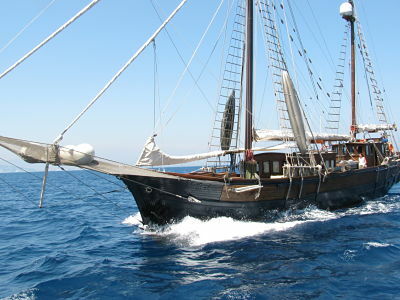 Yacht skipper allows to govern a vessel of 24 meters length and a distance of 150 miles of coast. In practice, this means that you can navigate almost throughout the Mediterranean and reach the Canary Islands taking the coast of Morocco as a reference. Yacht captain is able to control ships of 24 meters length without limit of navigation by sea or ocean. The disadvantage is that megayachts should be governed with professional maritime training, since ships will be considered for regulatory purposes. On the other hand, we must take into account that it is not necessary to obtain a title to govern motor boats up to 5 meters, a power of 15 hp and a distance of up to 2 miles. If you have a sailing boat of 6 meters length you will not need a title. All this, in daytime navigation. Once you know which nautical titles exist, you must know how they can be obtained. You should go to a nautical school and take a theoretical and practical course on safety and navigation. To this we must add a report of psychophysical aptitude and of course, be of age. If you want more information about the nautical titles of recreation, you can contact us and we will help you.